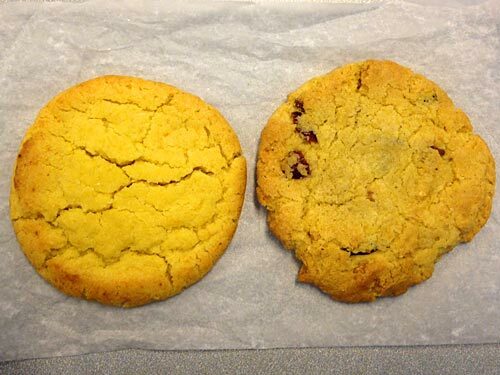 The Milk Bar cookie (left) costs $1.85 (or 3 for $5) and is a bit smaller that the one from Schmackary’s (right), which costs $2.75 (or 2 for $5). The Milk Bar definitely tastes like sweet corn, the cookie is chewy and the inside is uniform (no chunks of anything). The ingredients include corn powder and corn flour. This cookie was more frail and broke easily into pieces, while Schmackary’s held its shape. 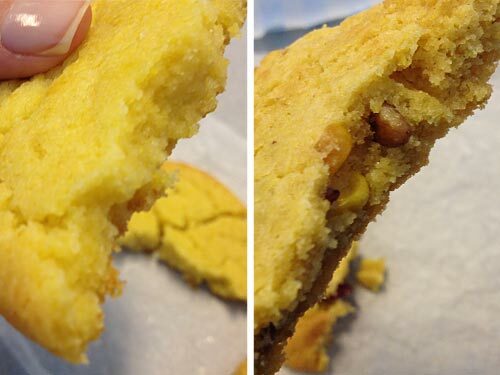 The Schmackary’s cookie is not homogenous — you can see pecan bits, dried cranberries and corn kernals. Cranberries add a burst of sweetness, and pecans give a little nutty flavor. The corn flour and corn meal mix creates a completely different texture and reminded me a little bit of cornbread. They are soft but not as chewy as the cookie from Milk Bar. If you like a cookie with texture, this might be the one for you. Schmackary’s cookie has a salty finish, a signature to the Schmackary’s cookies, generally. It’s like Haagen Dazs versus Ben & Jerry’s, really, both taste great… which would you choose? 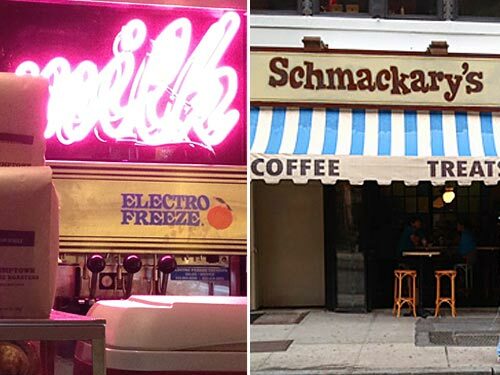 Me, I’ll take Schmackary’s (yep, even though it is more expensive). That sea salt finish gets me every time.